This Guide is for the WidowXL Robot Arm, an upgrade to, but not to be mistaken for the WidowX robot arm. The following hardware is included and is required to build the WidowXL. Most of these pieces are found in the kits, although they may not be used with the particular piece they are packaged with. Don't worry if you have extras at the end, you may have received some spares. Some of your plastic pieces will have paper masking on one or both sides. Peel the masking paper off before getting started. There also may be some dust on your parts. This is from the laser cutting manufacturing process. It is harmless and can be cleaned up by wiping with a rag or being washed with water. Your kit comes with Turbo Fuse. The type provided is non-permanent and plastic safe. Turbo Fuse is used to keep nuts and bolts in place on robots since they move and shake around a lot. To use your Turbo Lock, squirt a small amount into a plastic spoon. As you build, before screwing a bolt into your robot, dip the tip of each bolt into the Turbo Lock and brush the excess off onto the side of the spoon. See the video above for more details. 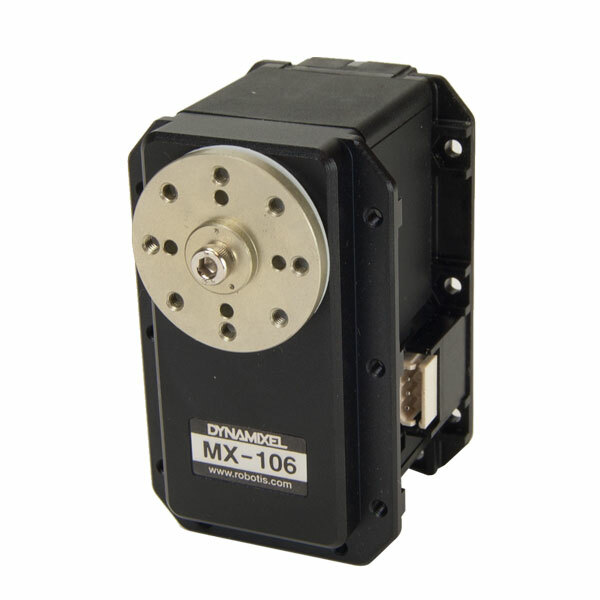 AX-12/AX-18 DYNAMIXEL Servos can move up to 300° . When the servo is directly in the middle of this 300° range, it is considered to be 'centered'. You will be able to tell that the servo is centered when the single notch on the servo casing matches up with the single notch on the servo horn. The instructions in this guide assume that all of your servos are 'centered'. If the servos are not centered when attached to the brackets as shown in this guide, your robot will not work correctly. 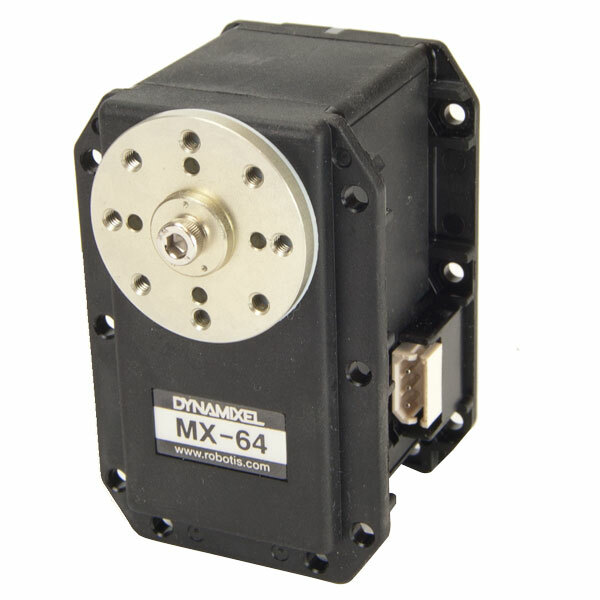 If your servo horn is not centered, you can move it by hand or use the DynaManager to center the servo. 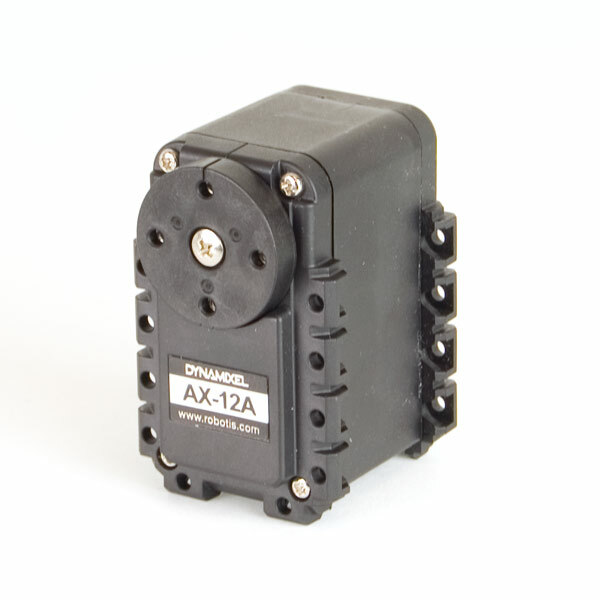 AX-12 servos in your kit (Servos ID 5 & 6) already have servo horns installed, and do not require any idler solution. The following is an illustration for installing horns and idlers for the remaining servos in your kit. No idler necessary for this servo model in this kit. Load 8x M2.5 Nuts into the Idler Side of Servo ID 1 (MX-28) where shown. Pay close attention to the orientation of the plates. Misaligning the plates can cause your arm to be at the wrong angle when centered. Mount the Bottom and Top Spacer Plates to the horn of Servo ID 1 as shown using 8x M2*10 Bolts, minding the orientation of the plates. Attach the Pan Plate to the inside ring of the Slewing Bearing running 6x M3*16 Bolts through the top of the plate, attaching to 6x M3 Nuts on the bottom of the bearing. Attach the FR08-H101 Bracket to the top of the Pan Plate by running 4x M2.5*10 Bolts up through the bottom of the Pan Plate into the threaded holes of the bracket, minding the orientation. Attach the Pan Plate to the Spacer Plates by running 4x M3*16 Bolts into 4x M3 Nuts seated in the hexagonal grooves in the Bottom Spacer Plate. Load 4x M2.5 Nuts each into Servos ID 2 and ID 3 into the slots on the idler side of the servos where shown. Attach 2x M3*15mm Spacers to the front of the Gripper Horn Plate using 2x M3*20 Bolts, LOOSELY attaching a T-Slot Nut on each end. With the T-Slot Nuts loosely attached, you can slide the 100mm T-Slot Rail into place, making sure that the Pem Nuts in the Rail Carriages are facing outward. When the T-Slot Rail is in position, tighten the bolts at the back of the Gripper Face Plate to lock it in place. Choose your Gripper Fingers, and attach them to the Rail Carriages using 4x M2*14 bolts. Using 5x M2.5*4 Bolts, attach the horn of Servo ID 2 to the FR08-H101 bracket in the orientation shown. 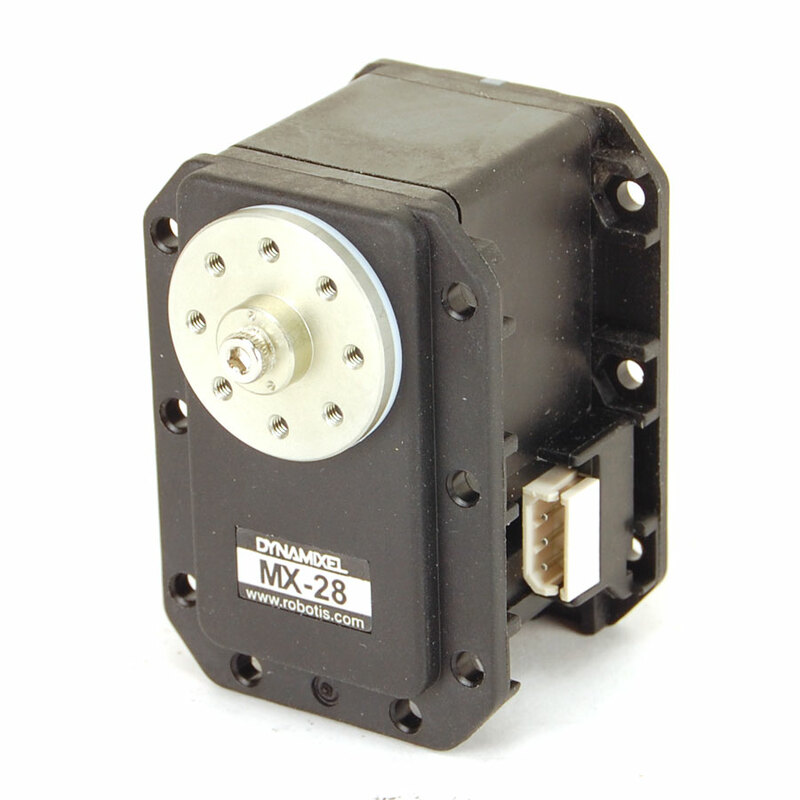 Using 5x M2.5*4 Bolts, attach the idler of Servo ID 2 to the FR08-H101 bracket in the orientation shown. Using 5x M2.5*4 Bolts, attach the horn of Servo ID 3 to the X-Long Bracket in the orientation shown. Using 5x M2.5*4 Bolts, attach the idler of Servo ID 3 to the X-Long Bracket in the orientation shown. Using 5x M2.5*4 Bolts, attach the horn of Servo ID 4 to the FR05-H101 Bracket in the orientation shown. Using 5x M2.5*4 Bolts, attach the idler of Servo ID 4 to the FR05-H101 Bracket in the orientation shown.